Please feel free to download the Smartpixel screen capturing video editing software for windows. SmartPixel is a free video editing software includes easy-to-use video screen capture feature, which integrates game/screen/webcam recording, video editing, dubbing and background music arranging, effects editing and many other advanced features. You can easily record and edit videos with high quality upto 720p. 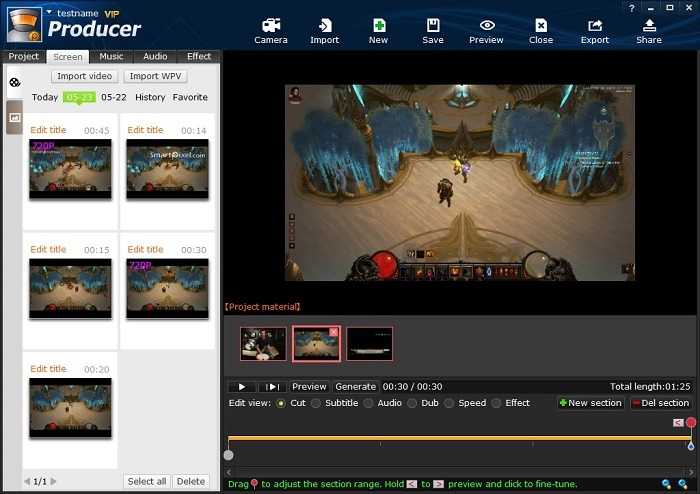 It is one of the best free screen capturing video editing program for Windows. SmartPixel consists of two main modules, which are SmartPixel Camera and SmartPixel Producer. The SmartPixel Camera has seamless interated of screen capturing and D3D recording mode to capture the full screen or designated screen areas.With new patented technology SmartPixel could bring you extreme screen capture video recording performance but cost less CPU consumption and lower disk usage. 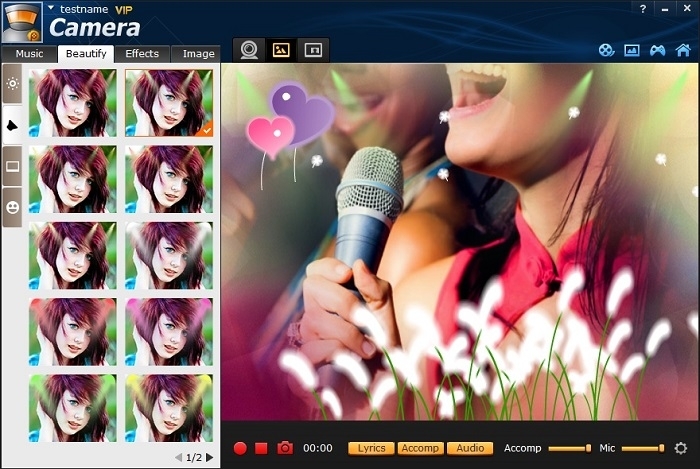 The SmartPixel Camera has a new Karaoke mode even lets you make your own music video! It helps you remove original vocals and insert lyrics subtitles. 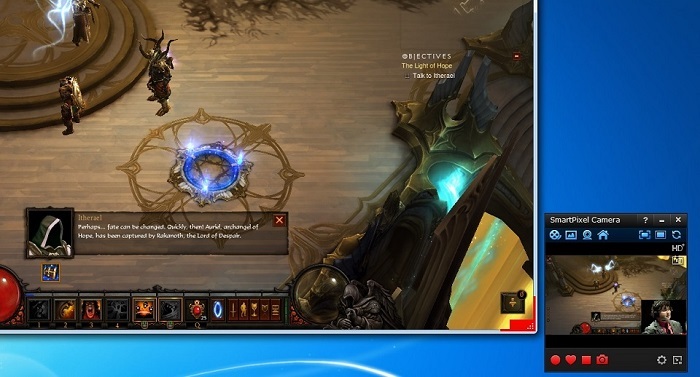 Its pic in pic mode allows people online comment via webcam during screen capturing, besides, SmartPixel Camera can also capture screen and webcam image such as game screenshots, desktop screenshots, as well as webcam image. SmartPixel Producer might be the easiest video editing software you ever use, with its fast cutting and editing feature, you can be a video editor in a few minutes.The user can edit video clips by add fast/slow playback section; insert subtitles; dubbing, text effect, background music, scribble painting etc.. Almost anything you can think of, you can have them all! Furthermore, SmartPixel Producer has a rich online resources library including effects, filters, sound clips for the video editors to add more flavor to their video clips. Once the video editing is done, the video clips can be exported with FLV, AVI, MP4 and other formats which can be easily upload to youtube and share with friends. Wanna be a new youtube video star? Download and try the best free screen capture video editing software now. Added more video capture size options. Support full size screen recording and customize size recording. You can now merge videos of different sizes together. Optimized dubbing process. Improved voice-over performance.